Tickets are selling fast don't miss your chance! Networking Luncheon & Speaker Ticket includes the stand-up networking luncheon between 11am - 12:45pm and speaker presentation from 1pm - 3pm. 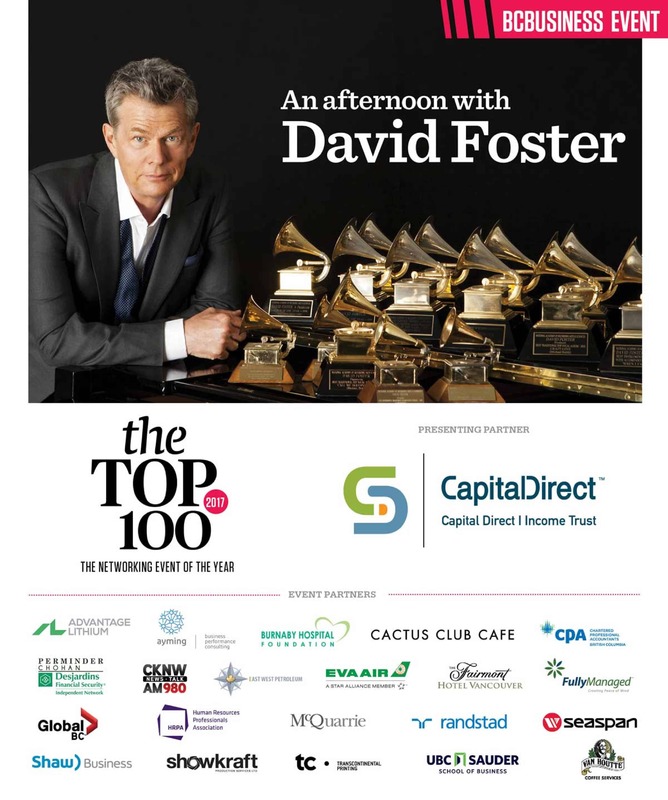 Following the networking luncheon will be a special one on one candid interview with Peter Legge (CEO of Canada Wide Media) and the legendary music producer David Foster. The same David Foster who has won 15 Grammy’s and sold over 500 million albums making him one of the most successful music producers in history.